There was a bit of mist in the pasture between us and the Mulberry River. 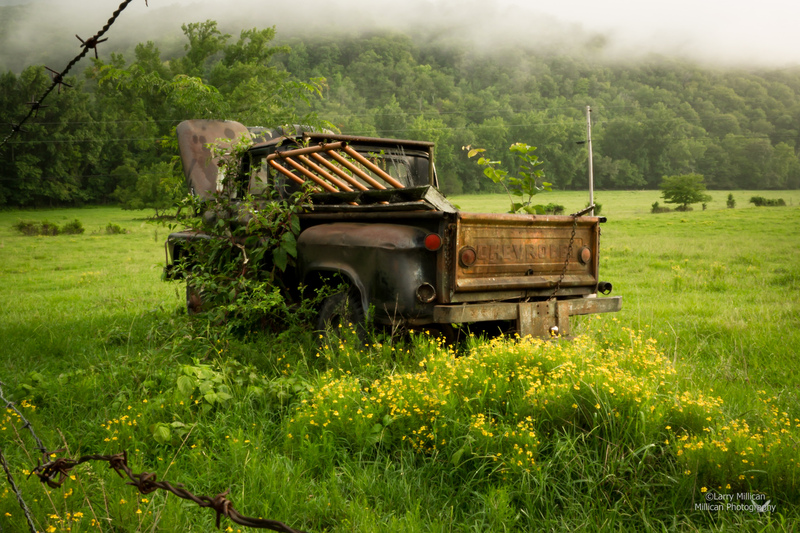 In the tall grass of the pasture, there were cattle moving like shadows in the mist. There were bales of hay and pieces of the barn’s metal roof lying about. And there was the light. 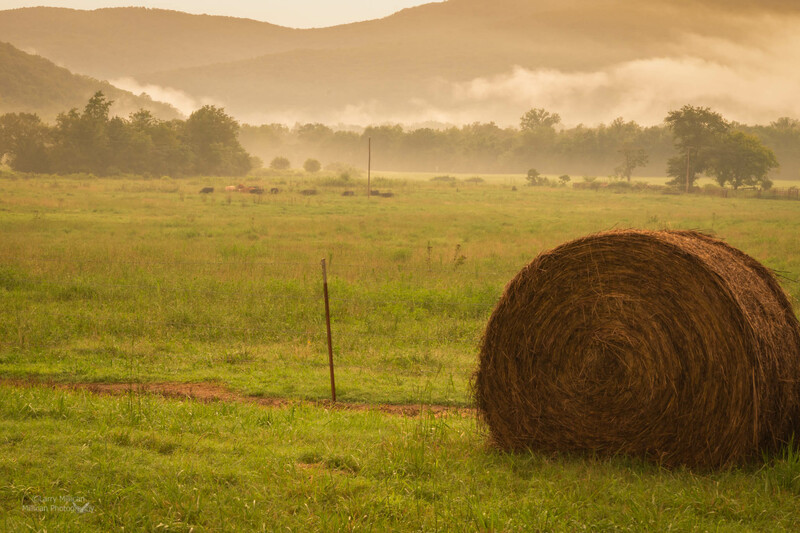 I photographed the bales of hay, and the cattle in the distant fog, and the barn. I hope you enjoy this photo and the back story. It has sparked compliments and conversation whenever seen. As always, and as I have previously stated, never give up on your image until you know you have done all you can. 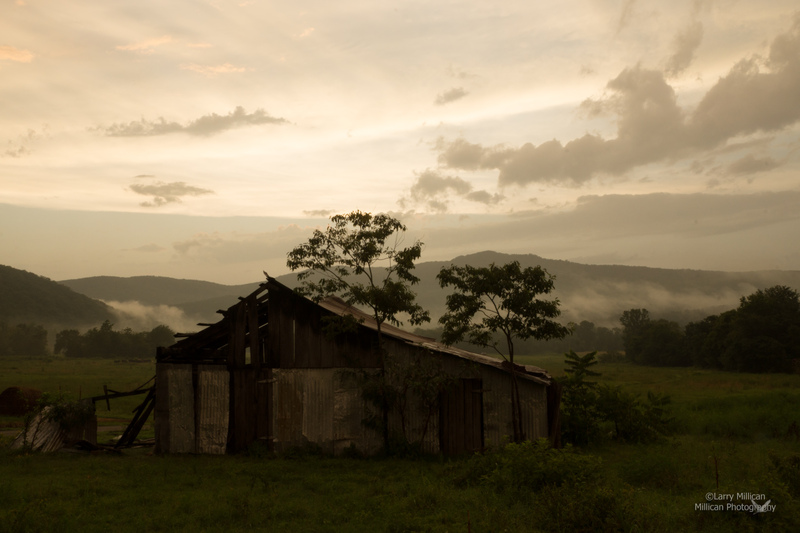 Sony Alpha 77, Sony DT16-50mm f/2.8 lens, zoom at 22mm, f/22 for 1/6 second at ISO 200. Manfrotto tripod. Image is uncropped. Until next time, I will be following the light. I hope you do the same! 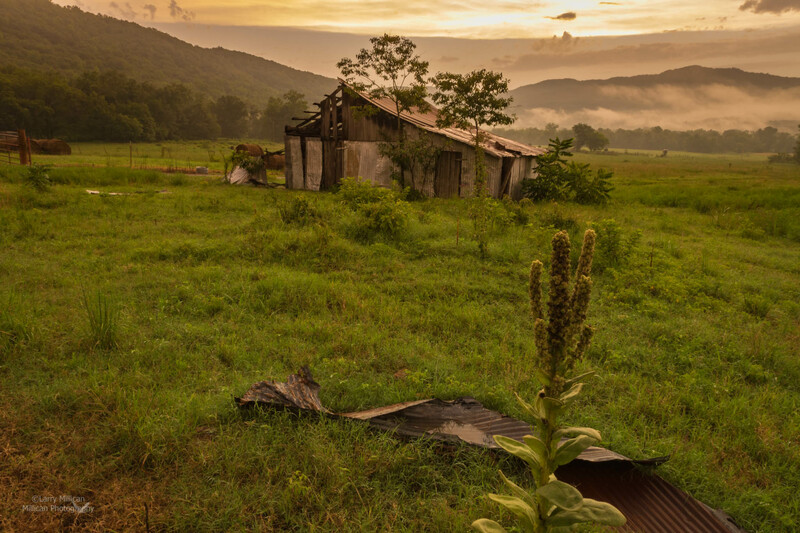 This entry was posted in Arkansas, Nature, Photography, Uncategorized and tagged Arkansas, barn, Mulberry River, photography, Sony, Sunset. Bookmark the permalink. Just opened your blog. 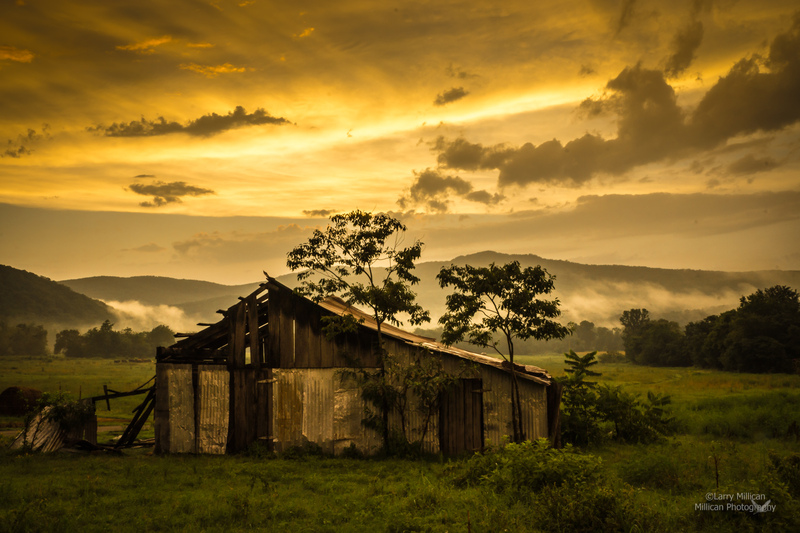 The pictures are outstanding but the ole barn is an Ansel Adams. I don’t know how you edited it but what a shot. Every color and everything in the shot is wonderful. If you have an edit class please post on your blog. OUTSTANDING OUTSTANDING Waiting for the next shots to come. Thanks for sharing. Beautiful shot Larry. Well worth the stop no matter how tired.